The area of Pennsylvania known as the Lehigh Valley is full of fascinating history for visitors to explore. The Sayre Mansion in Bethlehem is part of that history, as the original owner of the house was the vice president of Bethlehem Iron Works, which later became Bethlehem Steel Corporation, an integral part of the town’s fabric. Whether you’re a history buff, or you’re just interested in the heritage of the places you visit, there are plenty of places to explore in the Lehigh Valley. 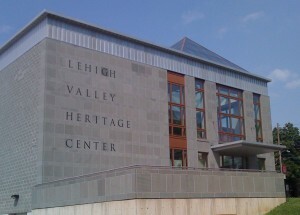 One of those places is the Lehigh Valley Heritage Museum in nearby Allentown. This state of the art museum is both entertaining and informative and Maintained by the Lehigh County Historical Society. 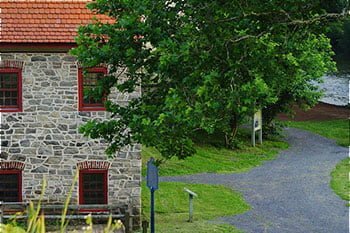 Read on to find out more about the Lehigh Valley Heritage Museum and what to expect during your visit. The Lehigh County Historical Society is dedicated to collecting, preserving, and exhibiting the historical artifacts and documents related to Lehigh County, PA. The Lehigh County Historical Society maintains the Lehigh Valley Heritage Museum and the Scott Andrew Trexler II Research Library & Archive. The library is home to more than three million historical documents and 70,000 photographs as well as a microfiche collection of the area’s early newspapers. In addition to maintaining these establishments, the Lehigh County Historical Society is responsible for the following historical sites in Lehigh County: Claussville One-Room Schoolehouse (1893), Haines mill Museum (1850), Lockridge Furnace Museum (1868), Troxell-Steckel Farm Museum (1756), Trout Hall (1770), and Saylor Cement Industry Museum (1893). The Lehigh Valley Heritage Museum is a state-of-the-art facility home to thousands of documents and artifacts as well as several exhibits. Some of the Lehigh Valley Heritage Museum exhibits are permanent and some are rotating. The National Penn Bank Historical Exhibit Hallways is a permanent exhibit that explores the history of the area from pre-European settlement to the present. There are ongoing exhibits about the Revolutionary War as well as an exhibit about energy creation and consumption. There are two new exhibits at the Lehigh Valley Heritage Museum currently. The Stories of World War I exhibit, which shows visitors both America and the Lehigh Valley’s contributions to the war effort. The other exhibit explores the artwork of Mort Kunstler, noted historical artist. The museum also hosts special events and programs from time to time. 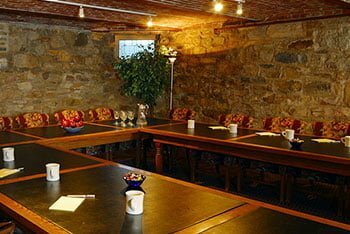 When planning your visit to the Lehigh Valley Heritage Museum, be sure you book your stay at a local establishment. The Sayre Mansion in Bethlehem, PA is a luxurious boutique hotel set in a historic mansion from the 1850s. The Sayre Mansion has been a Lehigh Valley Landmark for more than a century and has a special place in the area’s history. Our guest rooms and suites expertly combine elegant period furnishings with modern comforts and amenities. 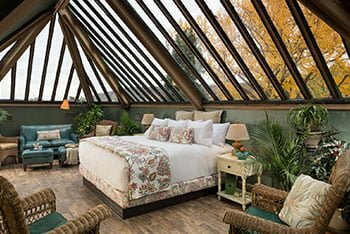 Guests will enjoy luxurious bedding, private bathrooms, and more in the setting of a meticulously restored 1858 manor house. Each morning you will be treated to a full innkeeper’s breakfast, which is sure to start your days off on a bright note. Our staff are experts on our area and love sharing their tips on where to go, what to do, and which restaurants to try. At the Sayre Mansion, you’ll experience a truly memorable Lehigh Valley Getaway.